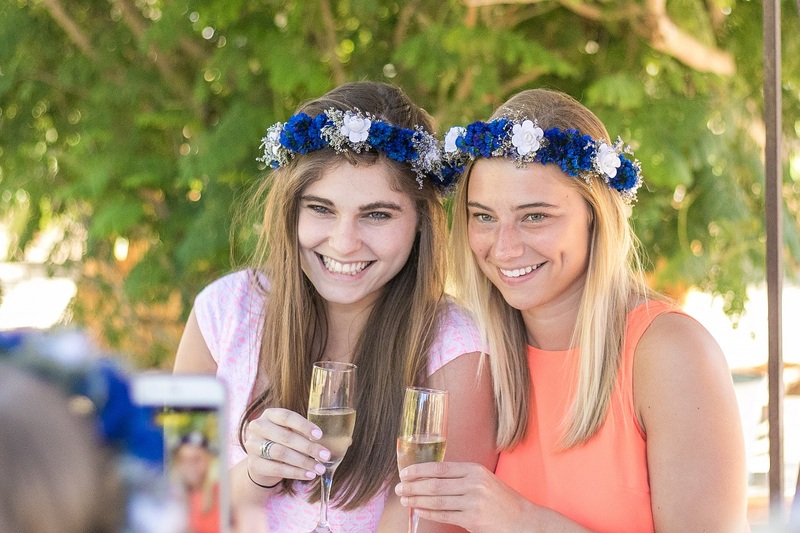 Why Host a Bridal Brunch? We love the whole idea around hosting a bridal brunch or bridesmaids luncheon! Why? Because the purpose behind the event is gratitude. Typically, the bride is the hostess, or sometimes, the bride and her mother, depending. But traditionally, the bride plans some form of a girls-only gathering with the specific intention of thanking her bridal party for their support. Yes, it’s a lovely, gracious way for the bride to express her appreciation for everything her bridesmaids have done to help her in the planning of the wedding. It’s about recognizing the time, love, and kindness (and even money) each woman has offered the bride during one of the most stressful-but-exciting periods in a woman’s life. 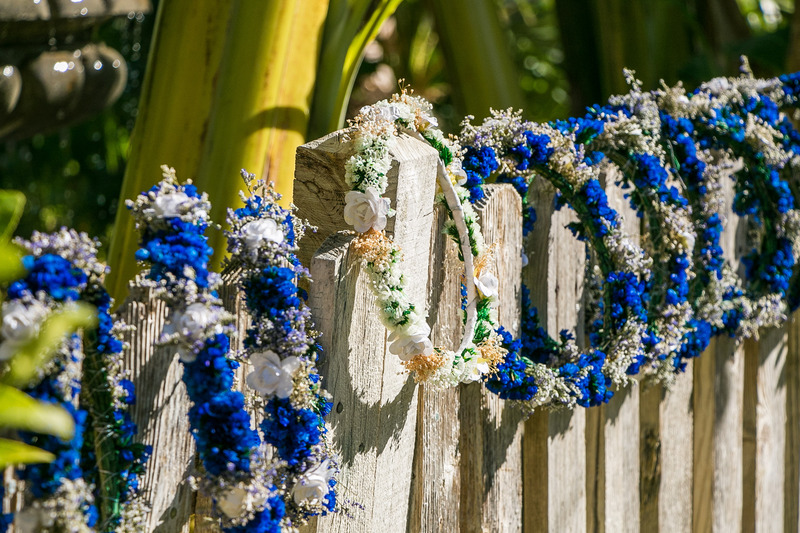 When planning your destination wedding in Cabo San Lucas, or anywhere else in the world for that matter, why not consider hosting a bridal brunch there as well? 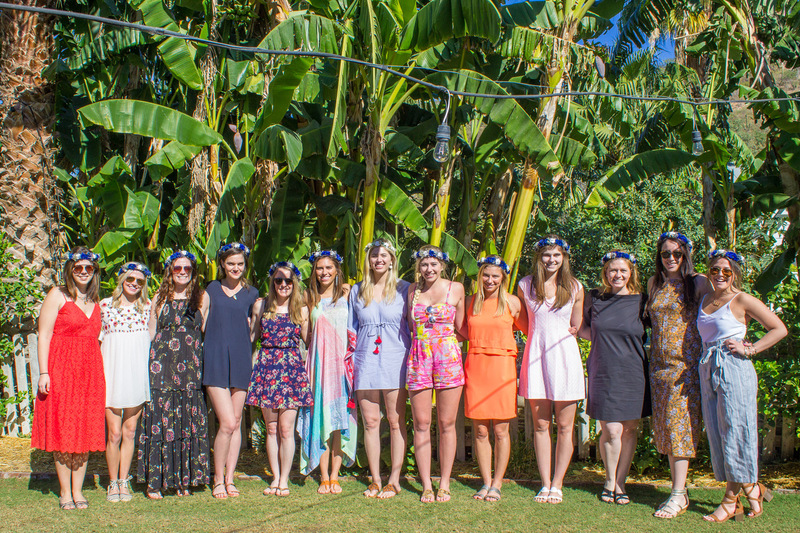 Since the most ideal time frame for hosting a bridal brunch is in the week or days prior to the wedding itself, it makes perfect planning sense to include it in your Cabo celebrations! It could take place on the day before the wedding, or even as a breakfast on the morning of the wedding. When is up to you and the ladies’ travel schedules. But, from our wedding planners’ perspectives, hosting the bridesmaids gathering in Cabo is a must! It just WORKS! 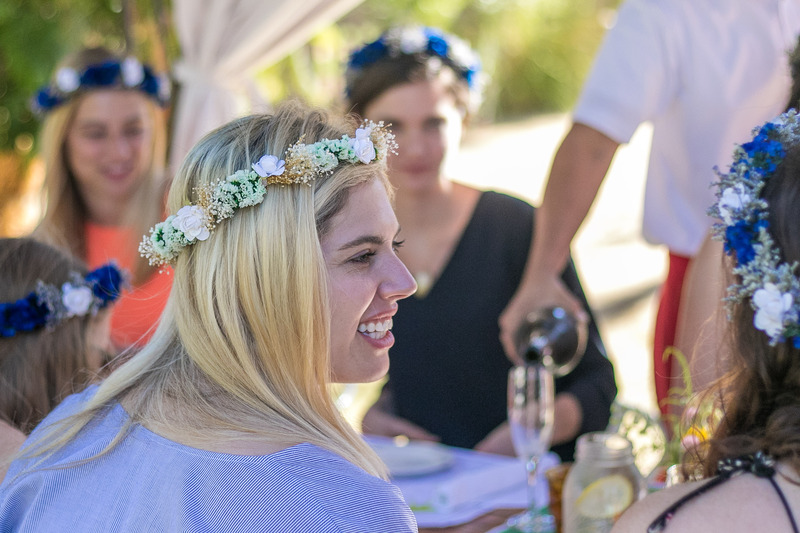 Just ask our client Kathryn, she hosted a casual, Boho-style bridal brunch at Flora Farms the day before her wedding. Not loving the idea of a bridal brunch? No problem! You can plan whatever type of “I couldn’t have done this without you” event you like! Whether it’s a night out on the town, a gourmet meal in a restaurant, an afternoon at a luxurious spa, a private SUP yoga class on the beach, an elegant afternoon tea party, or the ever-classic bridesmaids luncheon. How you wish to spend the time with your bridal attendants is up to you. Only you know your bridesmaids, and the type of activity, they will enjoy. And keep it small, only inviting your bridesmaids and flower girls to the soiree. But when in doubt, and no matter the theme or location, make it personal. Celebrate the friendship you have with everyone in your bridal party. At the gathering you have planned, offer a gift of some kind. Maybe a necklace or earrings, a cover-up for the beach, or a floral crown to wear for the day. At the minimum, one of the sweetest gestures you can offer is a genuine THANK YOU. Whether toasting each bridesmaid or giving her a personalized letter to read. In either case, recognize something thoughtful or helpful they did that made a difference during the planning process. From what we have witnessed over our years of planning and designing weddings, honoring your bridal party goes a long way towards nurturing friendships.